The olive tree originally, it is believed, came from the region of Anatolia in modern Turkey. They have various health benefits and people say that they cure cancer. One of the myths about the genesis of the olive tree, is that Athena, the Greek goddess of wisdom, planted her spear in the soil and that became the very first olive tree. It grew in Athens, Athena’s city. It is said that thousands of cuttings were taken from this tree, and Homer says that the original tree was 10,000 years old when he was writing. It is from Homer we learn that if anyone destroyed an olive tree, they were sentenced to death. The olive tree was sacred to the ancient Greeks and Athena was often depicted wearing olive leaves on her helmet. Of course, olive trees get a mention in the Bible, with the dove taking an olive branch to Noah in his ark, when the flood waters subsided. In the original Olympic Games in 775 BC the victors were presented with wreaths of olive leaves. We have cultivated olive trees for thousands of years, and it is believed that they can live for a thousand years or more. One on the island of Crete is said to be 3,000 years old. 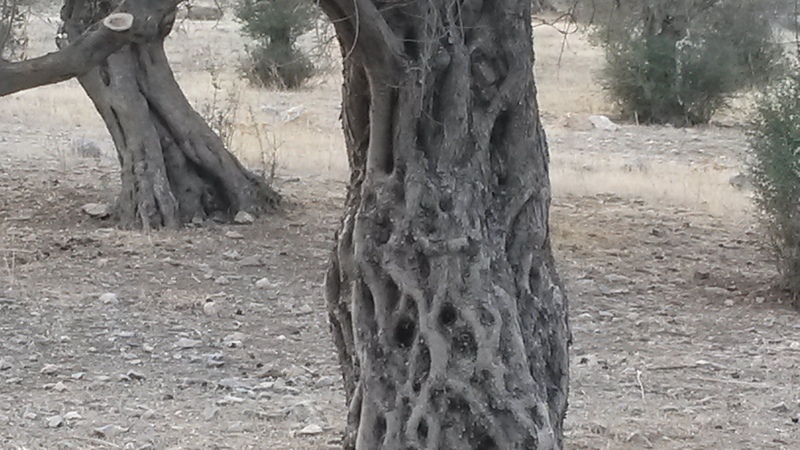 In Laconia, Greece, there is one tree that is supposed to be a thousand years old. Unfortunately, we couldn’t find it last time we were there. It’s difficult following directions given by locals, as they give various landmarks as pointers, but these are unknown to visitors to the region. I guess we’ll try again next time. It isn’t just the olives that are good for our health. The leaves can be made into a tisane to calm the nerves. Just use a handful of leaves and let them steep in boiling water for about 15 minutes. Strain and add honey. It is thought that the cholesterol-lowering effects of the leaves comes from the oleuropein they contain. They have been good for reducing malarial fever, as reported by Both French and Spanish doctors who had treated soldiers in the war of 1808-1813. Later, in 1843, fever swept through the island of Lesbos, and the tisane made from olive leaves was thought to have been responsible for curing many. Olive trees produce olives every alternate year. They can be black or green, depending on the tree. The flowers are small and white, and the oil produced from the fruit of the tree can vary in colour, from a rich green, to a pale yellow. Of course, it is very beneficial to our health. 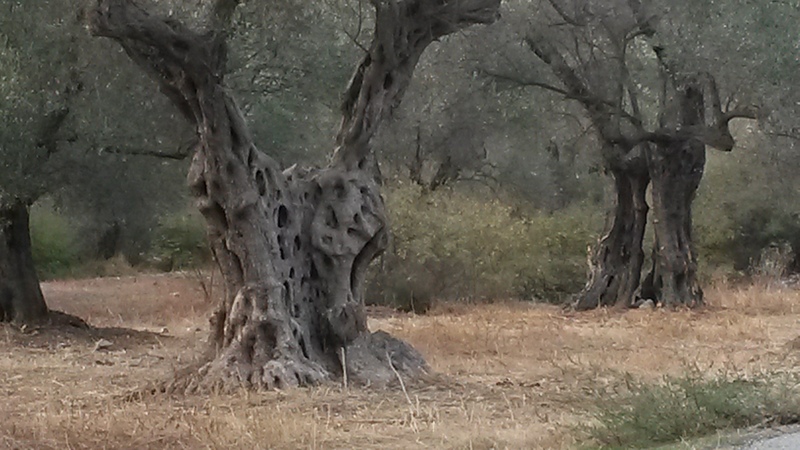 It would appear that most Greek families have their own olive groves. This means that the land owned by the forbears of Athenians, is still cultivated, and olives are still grown and sent to relatives who live in the city. If you travel in the Peloponnese, deep into Mani, you will see a sea of olive trees. They are everywhere you look, there’s no escaping them (not that you would want to of course). The first time I saw them, I was astounded! 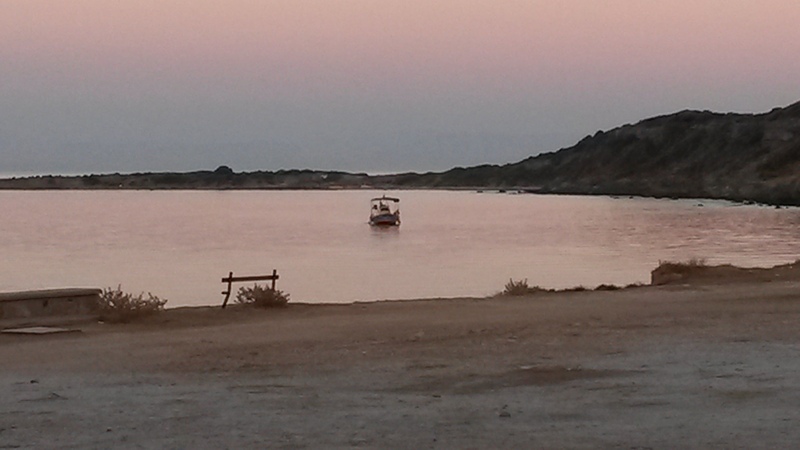 View from the hotel Aigeiros’ taverna. Photo credit Nikos Kapsalis. The trees in this post are all from Lesbos. 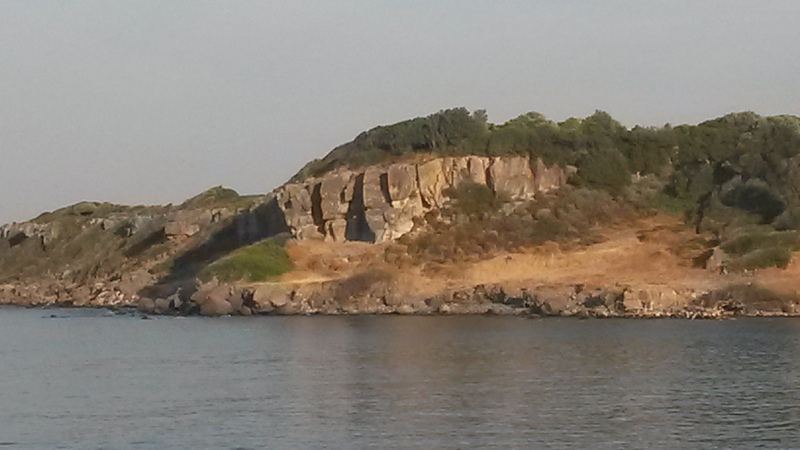 This entry was posted in eating and drinking, Greece, Travel and tagged ancient olive trees, Greece, health benefits, Laconia, Lesbos, olive leaf tea, olive trees, Peloponnese. Bookmark the permalink. I love this post – it’s a mixture of olives, history and mythology – I am a big fan of all three. Thank you.